Traditionally, travelers have made their way to the Bahamas for the white sandy beaches and the all-inclusive resort experience, but more and more visitors are beginning to discover the islands of the Bahamas have much more to offer, including a deep history and rich culture that have influenced the local cuisine. Whether you’re headed to one of Nassau’s many extravagant resorts or stopping over for a few hours during a cruise, here are ten food-centric experiences in Nassau that will introduce you to the Bahamian culture and provide you with a unique glimpse at life in the Bahamas. Conch, the unofficial national food of the Bahamas, is served in a variety of ways. One little food stand on the northwest side of the island really attracts attention for their conch salads. 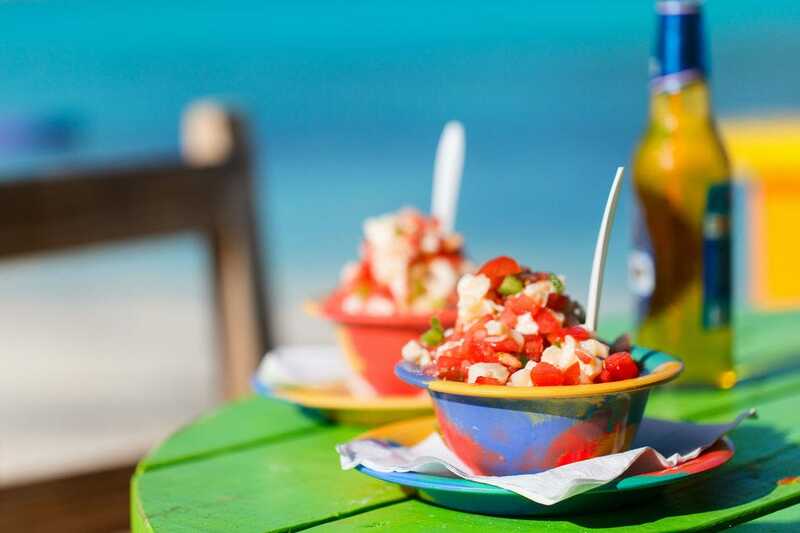 Dino’s Gourmet Conch Salad stand serves up a variety of traditional conch salads but is locally known as the “originator of the tropical conch salad,” a combination of diced up conch, tropical fruits, peppers, onions and tomatoes. Patrons can order their salads and relax with a drink at one of the picnic tables or at the outdoor bar while enjoying views of the ocean. The Bahamas Ministry of Tourism offers visitors a truly one-of-a-kind local perspective through their free People-to-People Experience program. Visitors can sign up to be matched with a volunteer ambassador who will plan local activities and adventures based on personal interest. The program immerses visitors in the Bahamian culture, cuisine and history. In addition to taking visitors on tours of the island and introducing them to friends and favorite restaurants and eateries, guests are usually invited into their ambassador’s home for a delicious, authentic Bahamian meal. Meals highlight the history and culture of the island while introducing guests to specialties and staples of traditional Bahamian cuisine. For a Bahamian lunch with a twist, head over to The Cove at Atlantis where they’ve recently opened a branch of Harbour Island’s famed Sip Sip. The fresh, locally sourced menu offerings change daily, but some favorites are always available. That includes spicy conch chili (if you’re feeling really adventurous, try it as a chili cheese dog) and the famed lobster quesadilla, topped with a chipotle-lime crema sauce and tropical salsa. The Chocolate Factory Tour at Graycliff is like walking into a chocolate lover’s dream. The tour covers the history of chocolate in the Bahamas, walks visitors through the chocolate making process and offers samples of chocolates at various stages of creation. Anyone wanting an extra special experience can upgrade to include a chocolate making lesson or a chocolate and spirits pairing. Whatever you choose, you can’t go wrong. 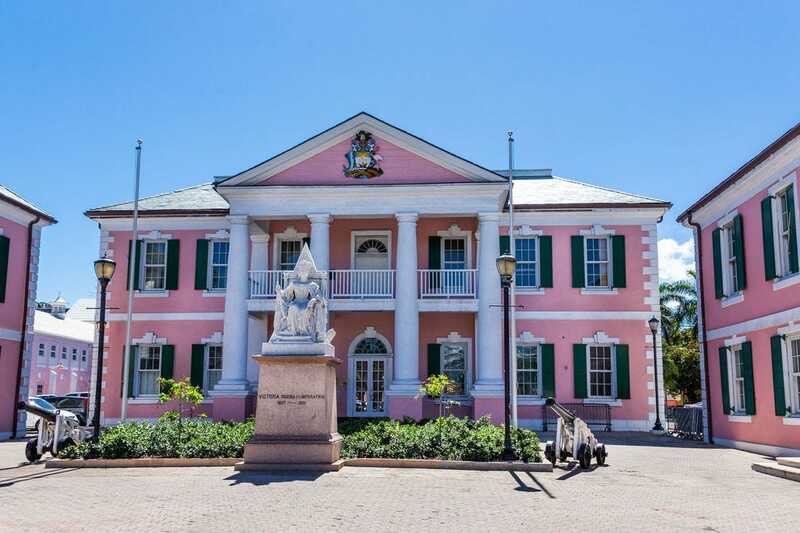 On select Fridays throughout the year, the Bahamas Ministry of Tourism sponsors a complimentary tea party at the Government House (the official residence of the Governor General of the Bahamas). This event, which includes live music and a local fashion show, is hosted by prominent Bahamian women and offers visitors the opportunity to try local bush teas, sandwiches, and pastries. Free transportation by shuttle is provided to the tea party from the local hotels, resorts and cruise ships. If you’re looking for the perfect souvenir for the food lover in your life, head to Tortuga Rum Cakes. These sweet, airy and refreshing cakes are favored all over the Caribbean and have been named the “Best Cruise Souvenir” thirteen times by Porthole Cruise Magazine‘s editor-in-chief. Stop in at the bakery on Frederick Street to sample the various flavors of both their cake and rum offerings. A celebration of “all things Bahamian,” the Tru Tru Bahamian festival is a two-day event focused on bringing awareness to the Bahamian culture. The event, which began in November 2015, takes place at the John Watling’s Distillery and features “authentically Bahamian artists, indigenous flora and fauna,” live music and food stands featuring local eateries and delicious cuisine. The festival currently occurs annually, usually in February, but the organizers have plans to add more events throughout the year. For a true Bahamian experience, head over to the Fish Fry at Arawak Cay. Here you will find more than 30 restaurants, bars and food stalls offering a variety of fresh, local seafood from grilled shrimp and fried snapper to conch salad. If you’re looking for a sit-down option, try local favorite Frankie Gone Bananas. If you prefer the open air, then order from one of the stalls and enjoy your meal at one of the picnic tables out front. Here you can watch the passersby, chat with locals and enjoy live music. Try dinner at The Poop Deck for a fine dining experience without the pretension. This local favorite is so beloved that they opened a second location. The original East Bay Street address offers casual waterfront dining overlooking the Nassau Harbor and Paradise Island. At the Sandyport location, guests are offered a more intimate dining experience on the sandy beach. Both also have traditional dining rooms for those who prefer to dine indoors. This walking tour of downtown Nassau offers visitors a unique look at Bahamian history and culture. The Tru Bahamian Food Tour features a handful of restaurants and specialty food stores that not only offer a taste of the local culture but a better understanding of life in the Bahamas. With more than six stops along the route, the food tour begins with visiting a small family-owned eatery serving up Bahamian comfort food, continues past many notable historical buildings, drops in at boutique hotels mixing up traditional cocktails, and includes many more delicious samplings. All tell the story of Nassau and leave visitors with a better understanding of what makes up a traditional Bahamian meal.